Reid says Ryan used the same closed-door dealmaking procedure two years ago. (Bloomberg) — Hours after congressional leaders unveiled a bipartisan budget agreement, the man who’s in line to be U.S. House speaker attacked the deal for being conceived in secret. “This process stinks,” Rep. Paul Ryan told reporters Tuesday. The two-year budget accord set for a House vote Wednesday bears some similarities to an earlier bipartisan spending deal that Ryan forged with Democrats in 2013. In that way, it offers a glimpse of how he would run the House, in both style and substance. Ryan and Democratic Sen. Patty Murray held weeks of secret talks before announcing their two-year budget deal in December 2013, just days before votes in Congress. Like this week’s plan, it raised federal spending caps — evenly split between defense and non-defense programs — by cutting some mandatory programs and raising fees. The deal touches on two areas where Ryan may seek common ground with Democrats: revamping spending on entitlements such as Social Security and boosting defense spending. Both are hallmarks of his philosophy on budgeting. The outstanding question is how Ryan will navigate between the hard-line Freedom Caucus Republicans who drove outgoing Speaker John Boehner to resign and his reputation as a pragmatic leader who understands that things need to be accomplished. Ryan emphasized to reporters Tuesday that things will change when he’s handed the speaker’s gavel Thursday. “This is not the way to do the people’s business and under new management we are not going to do the people’s business this way,” he said. Senate Minority Leader Harry Reid dismissed Ryan’s concerns. The negotiations were held under the “same process he used with Patty Murray two years ago, so he should go back and look at his clippings,” said Reid, a Nevada Democrat. This week is the start of what may be a short honeymoon for Ryan as speaker. He’s already finding the goodwill he earned as a budget wonk and the 2012 Republican vice presidential nominee being tested. “Is he going to support kind of the last worst deal of John Boehner?” he asked. Rep. Bill Flores of Texas, chairman of the 170-member Republican Study Committee, provided a softer view, saying he believes conservatives won’t blame Ryan for the accord. Boehner reiterated to reporters Tuesday that he has been intentionally trying to provide cover to his successor. Asked about Ryan’s comments on the closed-door negotiations, Boehner said, “I’m in full agreement. It stinks.” But he said that when “you’ve got the situation that we’re dealing with today,” there is not much choice. 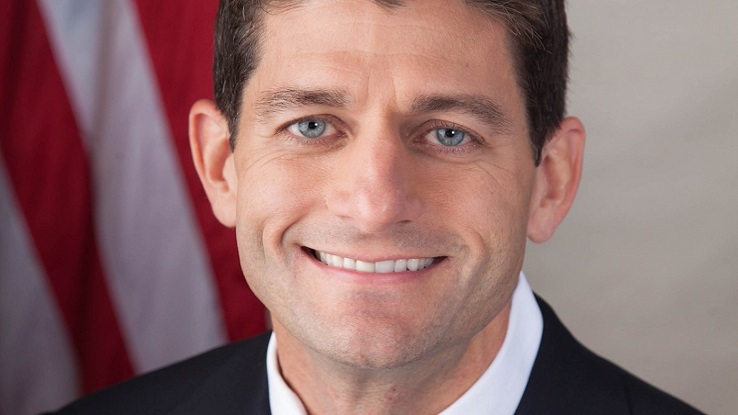 As for Ryan’s ability to deal with the same pressures, Boehner said, “Listen, Paul knows how to do this.” He pointed to the 2013 spending deal, which was forged two months after a 16-day government shutdown caused by a Republican effort to defund the Patient Protection and Affordable Care Act (PPACA). Ryan agreed to run for speaker after locking up support from three major party groups last week, and Thursday’s election will be just a formality. Yet those he needs to placate, especially members of the Freedom Caucus, have a long wish list. They want to flatten the power structure and give more of a say to rank-and-file Republicans. Bills must go through committees in what’s known as regular order, they contend, and should reach the floor only if most Republicans support them. Ryan’s 2012 vice presidential bid with Mitt Romney made him one of the Republican Party’s most visible figures and at 45, he stands to shape it for years to come. One thing that might come back to haunt Ryan is his promise to Freedom Caucus members to adhere to an informal Republican policy allowing legislation to reach the floor only if most party members support it. That would rule out, for example, the government funding bill passed Sept. 30 — with mostly Democratic votes — to avoid a shutdown the next day. Ryan’s political trajectory has been upward in a Congress based on seniority. In college, he interned for U.S. Sen. Bob Kasten and spent time as a Capitol Hill staffer. Elected to the House in 1998 at age 28, this year he became the youngest chairman of the tax-writing Ways and Means Committee since 1861. He forged a reputation as a no-nonsense legislator guarding against spending he deemed profligate. During four years as Budget Committee chairman, Ryan proposed repealing PPACA, cutting business tax rates, ending the estate tax and consolidating programs for low-income households. He sought to overhaul Medicare by giving future recipients a fixed amount of money to either buy private insurance or use in Medicare. Democrats say his plans would shred the social safety net. He learned how to get results. In 2010, Ryan produced a comprehensive vision for changing U.S. fiscal policy called the Roadmap for America’s Future. It earned only 14 co-sponsors. The next year, after he became budget chairman, a similar plan passed the House by a 235-193 vote with only four Republicans in opposition. Ryan had tweaked the plan to leave out a proposal to privatize Social Security and conducted thorough information sessions with the entire Republican conference. But there were departures from Republican orthodoxy: he voted for a bank bailout during the 2008 financial meltdown, and in September he backed a spending bill that didn’t defund Planned Parenthood, as many Republicans wanted. He also has supported allowing 11 million undocumented immigrants to eventually become U.S. citizens, a stance backed by most Democrats but strongly opposed by most House Republicans. In his 2014 book “The Way Forward: Renewing the American Idea,” Ryan argued that the push to close the government in an unsuccessful effort to defund Obamacare — led by Texas Republican Senator Ted Cruz— wasn’t a high-water mark. David Wasserman, who watches the House for the Washington-based Cook Political Report, said Ryan has to note Boehner’s fate.